Using place values is a great way for adding sets of numbers. Your student will practice this strategy in this worksheet. 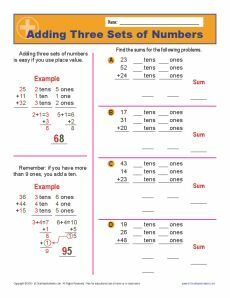 Use it in conjunction with Common Standards for 2nd grade Number & Operations in Base Ten or for other students as appropriate.